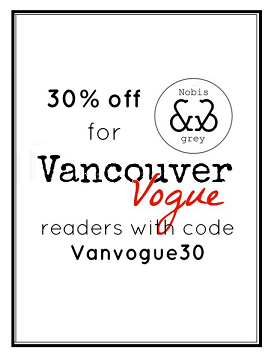 Vancouver Vogue: Fall Shopping Spree at Metrotown: What Would You Buy with $5,000? Fall Shopping Spree at Metrotown: What Would You Buy with $5,000? Back in September, I got you guys thinking about what it would be like to win $50,000. I loved hearing everyone's ideas on what they would buy if they won BCLC's Daily Grand Shopping Spree Contest! Well, don't stop dreaming guys, there’s more to the Daily Grand Contest because you could still win $5,000 in gift cards for Metropolis at Metrotown or any mall owned by Ivanhoe Cambridge! Oh and I'm holding a $100 giveaway on Instagram too - so don't miss that. And just to get you all amped up about how you could #LiveGrand if you win one of those awesome prizes, the bf and I did a $1,000 shopping spree at Metrotown a few weeks ago! You can check out our adventure below. Maybe it'll give you some ideas as to what you might buy if you win. Scroll through the photos below for some of our shopping spree tips and details on how you can enter to win one of the $5,000 prizes! Ready to Live Grand? BCLC is going to give away 4 prizes of $5,000 in gift cards for Metropolis at Metrotown, or any mall owned by Ivanehoe Cambridge! This contest is taking place on October 28th at the Grand Court of Metrotown (outside Uniqlo). You can click here for full contest details. Hope to see you all at Metrotown on Oct. 28th! Shopping Spree Tip #1: Do your homework. Take a look at retailers online and figure out where are the best stores to visit to find what you're after. I was specifically looking for a pair of black over-the-knee boots, and quickly figured out that Call It Spring was my best bet. Very happy with my new HOLMFIELD boots from Call It Spring - exactly what I was looking for! This kisses blouse from Winners totally caught my eye! Shopping Spree Tip #2: Find ways to make your spree $$ last longer. The bf decided on choosing a couple of new watch straps from Fossil, rather than buying a whole new watch. They were a great deal, awesome quality, and now he can change up his original Fossil watch whenever he likes for a totally new look! Shopping Spree Tip #3: Splurge a bit, save a bit. We didn't go crazy on splurge items, but I did get this beautiful Karl Lagerfeld leather purse from the Bay. I was willing to spend $187 on it, but when we got to the cash it was $80!!! I was literally in shock. Ever seen that Ikea commercial "start the car!" - that's how I felt. Seriously. Shopping Spree Tip #4: Think basics and must-haves. Instead of impulse buying things you may not want a month from now, make a wishlist of things you want/need most. Save most of your spree for those items...and a little wiggle room for some fun impulse buys. Shopping Spree Tip #5: Just because you've been pining over something online, doesn't mean it's meant to be. Know when to let go. This Banana Republic x Olivia Palmero coat was love at first sight when I saw it online. But in person, I definitely seem to be too short for it. Sadly, this one had to go back on the rack, even though I really wanted to take it home. Shopping Spree Tip #6: Wear comfy shoes, and clothes you can easily change in and out of. You don't want anything slowing you down! Found this fabulous tee at The Bay! For a grand total of $1,000! Disclaimer: BCLC provided us with $1,000 in gift cards to promote the Daily Grand Shopping Spree contest. As always, opinions are entirely my own!